If you appreciate being outside as much as possible enjoying your patio, terrace or garden with family or friends, or simply as your own space, then a fully retractable fabric awning is a great addition to help control the sun, shade and rainfall. 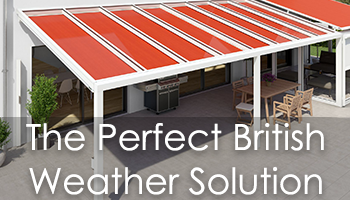 Create your perfect outdoor living space with any of our retractable awnings and take control of the very diverse weather we have to deal with in the UK. 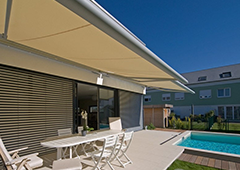 The Samson range of retractable patio awnings for your home extends to over 40 high quality models, all from the world’s leading manufacturers. 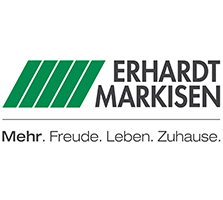 We have over 20 years experience in awnings and are consistently providing the very latest technology and highest quality awnings, totally fit for purpose in our climate, and offering the widest range of additional accessories to further enhance the use of the awning. They are all manufactured from aluminium (1 stainless steel model) and only use the very highest quality engineered components and the latest fabric technology. Most of our awning models are bespoke and made to measure sizes which ensures you are guaranteed the perfect fit for your outside space. There are over 500 fabrics to choose from in total, with different makes having different fabrics. When looking for a retractable awning for your home you should take care in ensuring you choose the right size, colour, fabric and features to ensure it provides the shade or protection you want. It should be a careful investment to help you extend and spend valuable time outside on your patio and in your garden more of the year round. 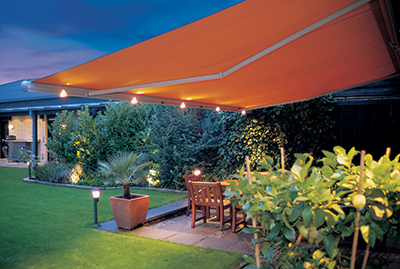 A retractable awning can be used for anything from creating controllable sun and UV protection in a particular room and larger sizes to an outdoor area to sit underneath, or, for many people a retractable system to enable some protection from rainfall in our very changeable British climate. Control the intense heat of the midday sun with ease, adjust the projection to deal with the rising and setting sun patterns. 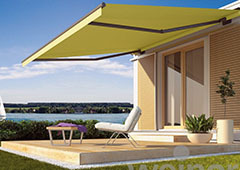 Enjoy many hours in a comfortable atmosphere directly under your awning. Entertain friends and family longer into the evenings with optional lighting and heating options added. Most of our self supporting awnings can be ordered up to 14 metres wide if required and up to a 4 metre projection! With supported systems we can offer up to 8 metres in projection. Keep several degrees cooler when the sun is at its most intense and then keep several degrees warmer at night with latent heat trapped under the fabric cover with further enhancements with add ons such as the drop down valance or the pull our side screens, all designed to protect from annoying draughts and also provide privacy. 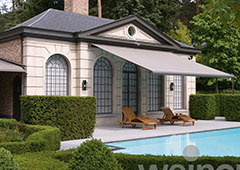 All of the wall mounted, traditional, self supporting retractable arm awnings available can be broken down into three basic categories, and it is mostly down to their design and not the cost that determines the category – Full cassette, semi cassette and open cassette are tears you will see used. A full cassette awning is not necessarily better or even a lower price option than a semi cassette or open cassette. A semi cassette awning can be a better option than a full cassette awning, all depending on your requirements for purpose and also size, accessories required, and possibly the support bracket position on the wall. The open cassette awnings can be used in the UK, but are ideally specified with a cover above them to protect the fabric which is exposed. Several models have this option and even with lighting built in to make a feature of the cover itself. 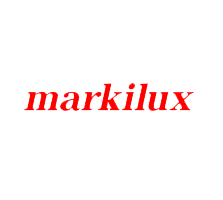 Again there are unique features to the open cassette awnings, such as a manual pitch adjustment on the Markilux 1300 allowing you to change the entire awning pitch yourself – No other awning model can do this. 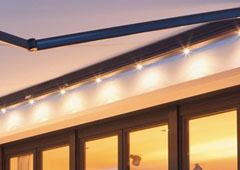 Cooler Spring and Autumn evenings are not a problem anymore with our range of integrated infrared awning heaters and various lighting solutions, as well as side screens and drop down valances to deflect the cooler evening breezes. By having a large fabric cover over you will usually trap warmth anyway and it is certainly more comfortable sitting underneath a cover as the temperature drops. Prevailing winds can be dealt with in several ways dependent on the awning model used and the size required to protect. Looking for something all year round? 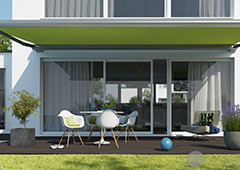 If you need an outdoor cover system that you definitely know is required to deal with more than the odd rain shower then you need to look at our range of retractable terrace covers – offering far higher wind ratings and capable of staying extended during heavier rainfall most of the year round to create a truly usable outdoor covered area. 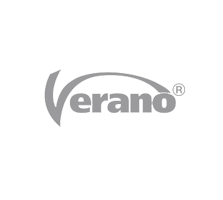 There are so many highly developed fixed and retractable products now available to truly create an outdoor area capable of being used for most of the year round. Come and take a look in our Wellingborough showroom to see some of these fantastic products. 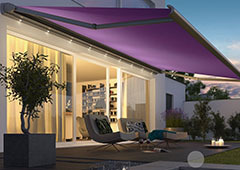 Any of the Samson Awnings are a solid investment for your home that will last for many years to come. 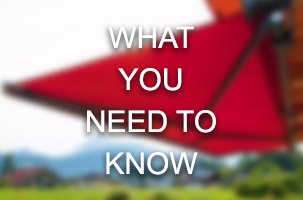 You can relax knowing you have the very latest in material and construction technology and only the highest quality components are used when manufacturing your awning. 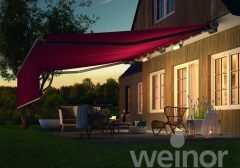 Your patio awning will become part of your home and serve to enhance your outdoor area whether for quieter relaxing moments or large gatherings of friends or family. 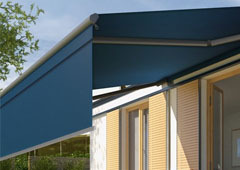 Various options on many of the awnings provide extra protection and comfort, items such as the ‘drop down front valance’ or pull out side screens to prevent annoying draughts from one side. For most electric retractable awnings you will have a wind sensor to ensure the awning retracts fully if the wind speed becomes too high and dangerous. 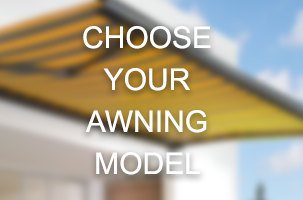 Many of the bespoke awnings we sell are not suitable for normal DIY installation but we do have various standard awning options which are far simpler to install with minimal bracketing involved. Once you have decided on a rough size and the intended use it is best to call us and seek advice on the best options. 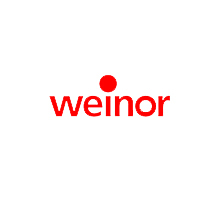 We can offer surveying and professional, guaranteed installation for a large proportion of the UK.